As President of SEMI Taiwan, Terry Tsao oversees the association’s programs, products, and services in the region, and is responsible for relationships with SEMI members as well as with representatives of local industry, government, and academia. Additionally, he supports SEMI international programs and serves members worldwide who have interests in Taiwan’s market for technology and materials.Prior to joining SEMI, Tsao was Managing Director of International Data Corporation in Taiwan. 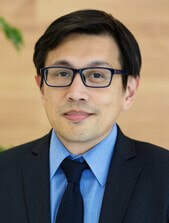 He has also served as APAC Marketing Director for Trend Micro, Inc., and held various marketing positions with Leo Burnett Taiwan, Far Eastone Telecommunications Company, Ltd., and Ogilvy Advertising.